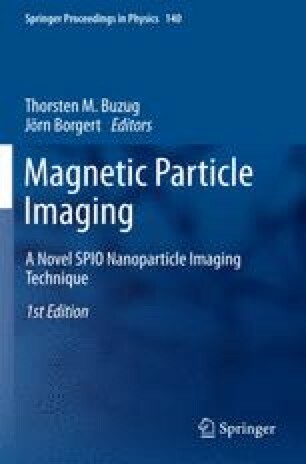 Since its invention, magnetic particle imaging (MPI) has gained increasing attention in academic as well as industrial research and development. It requires the application of an imaging agent, but the structure-efficacy relations are far from being fully understood and no ideal MPI tracer has been found so far. Here, we present a systematic investigation of the size dependence of the MPI spectra of identically composed, but differently sized iron oxide nanoparticles. We furthermore present a small angle X-ray scattering (SAXS) study as a route to assess the particle core structure. To that goal we used FeraSpinTM R and the FeraSpinTM Series (XS to XXL). We show that FeraSpin R offers an equal whereas FeraSpin L to XXL offer an improved MPI signal as compared to the hitherto “gold-standard” Resovist®. Moreover, the FeraSpin Series constitutes a versatile “toolbox” for MPI tracer research.